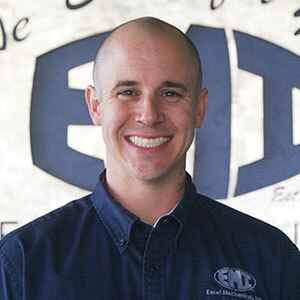 TJ Zarling | Excel Mechanical, Inc.
TJ Zarling, a Tucson native, was raised in the Mechanical business. After traveling the world he came to Excel full time in January of 2008. Over the past six years TJ has worked every aspect of the company. In 2010 he was named Operations Manager, using his degree in Business Administration to ensure the success and profitability of Excel. TJ now holds multiple certifications including the CPC (Certified Professional Constructor), OshA 10 hour, EPA 1 & 2, and LEED AP. In 2014 TJ became President of EMI by virtue of having increased revenue and efficiency of all departments. TJ is highly involved in the Tucson Community serving in various Charity organizations, including the Men’s Active 20/30 Club. He spends his spare time with his son, playing and watching sports along with being a season ticket-holder at the U of A.